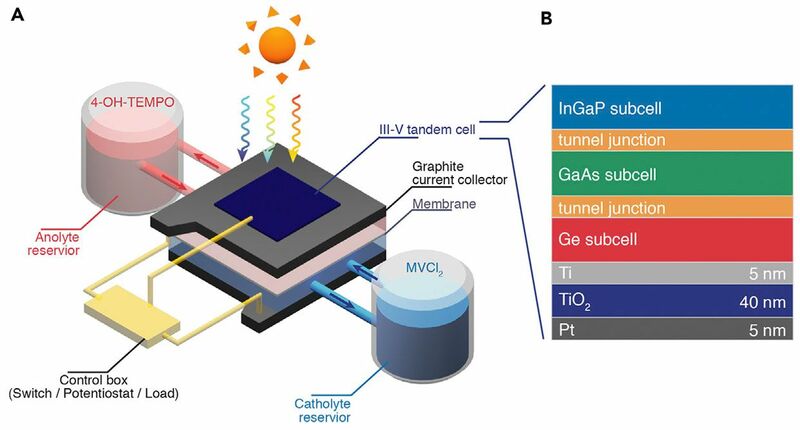 While many utilities and solar farm developers are rushing to connect solar capacity to large batteries, a research team is taking a different approach by making the solar cell part of the battery for higher efficiency. The development bodes well especially for off-grid locations where no infrastructure exists to route power to batteries. In the journal Chem, a University of Wisconsin–Madison professor of chemistry reported on a unified solar cell-liquid battery device that returns more than 14 percent of the incoming solar energy as electricity.